What Are the Requirements for a Commercial Kitchen? Commercial kitchen design and construction requirements encompass everything from the handling, preparation and storage of food to proper workplace temperatures, and are regulated by a range of local, state and federal agencies including OSHA and the FDA, among others. Building a commercial kitchen and watching its evolution into the very heart of your foodservice operation can be extremely exciting. It also demands close attention to details. Such a project not only involves choosing a design that best suits your vision and needs, but as with all businesses, ensuring compliance to a variety of regulatory agency requirements governing a wide range of issues. Add foodservices into the equation, and the necessity of adherence only increases. The Occupational Safety and Health Administration (OSHA) is a federal agency dedicated to protecting the safety and health of workers in the United States. The administration sets strict standards businesses of all industries must abide by. Many of these relate to protecting workers on a day-to-day basis, such as requiring proper sanitation processes, acceptable workplace temperature ranges, and the proper processes for preventing and handling accidents. OSHA also dictates several important mandates pertaining to the design and building process. This section details the specific temperatures and duration different foods must be cooked or frozen to effectively destroy harmful contaminants. This section outlines the requirements for foods being kept in cold storage, including the temperatures they must be kept, proper thawing procedures, and much more. This section contains information about how dishes, utensils, and other wares must be cleaned. For example, three-compartment sinks are usually required, with few exceptions. These sections pertain to the placement and installation of food storage and preparation equipment. For instance, these may not be kept in the same room as garbage or other waste disposal. This sets forth mandates regarding the quantity and placement of plumbing systems, including handwashing stations for your staff. Choosing the right equipment to ensure compliancy with these and other regulatory requirements also gives the all-important peace of mind in knowing your oven is always cooking your food to just the right temperature, and your produce is always adequately chilled in the refrigerator. 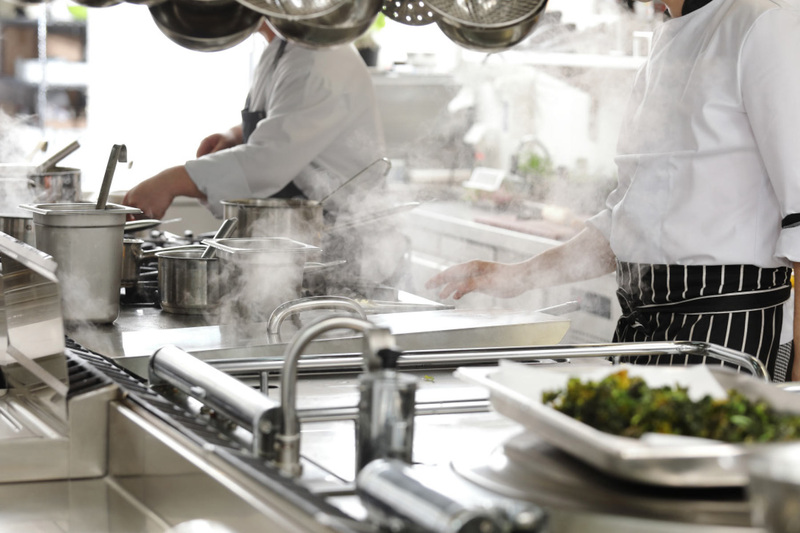 State and local governments have their own sets of requirements for commercial kitchens you must familiarize yourself with during the design and building processes, as they may be different than those at the federal level. You can find more detailed information about your state’s requirements here. Many state food codes are fairly similar, but be careful not to take this for granted, even if you've opened commercial kitchens before in other states. There will be subtle differences that could lead to potential violations and fines, if missed. For example, while New York and New Jersey share the requirement that food must be stored at least six inches above the floor, they differ in that New York requires dry storage areas to maintain a lighting intensity of 215 Lux, whereas New Jersey only requires 110 Lux. 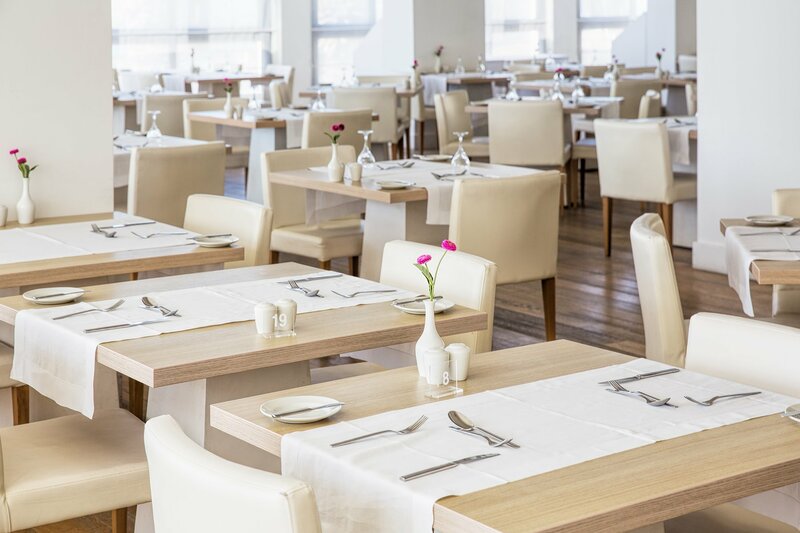 The design and construction stages of a commercial kitchen can be complicated, especially when navigating the world of foodservice regulations. The commercial kitchen experts at Sam Tell can help guide you. Contact Us, today. 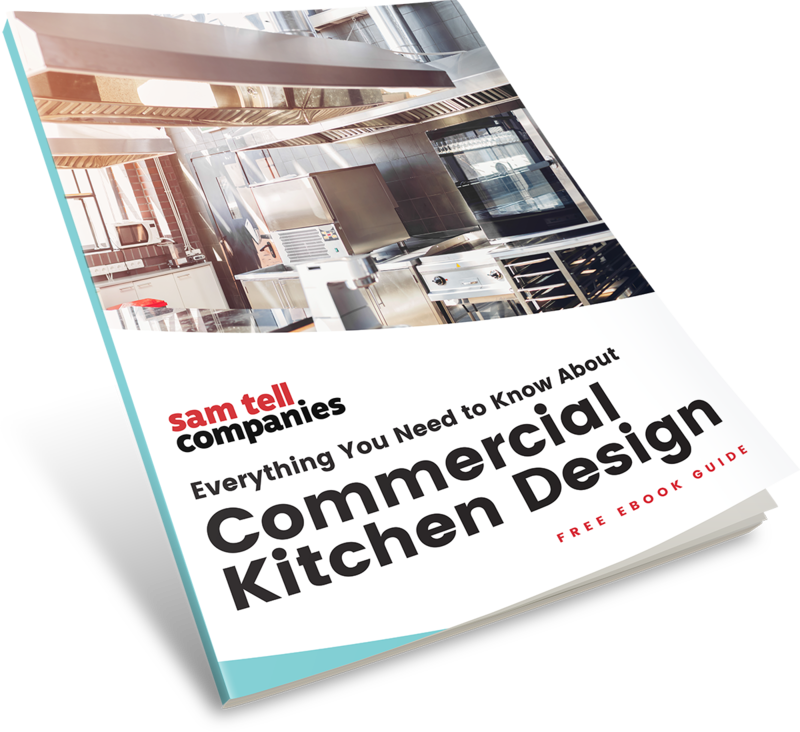 From beginning steps and common configuration styles to tips and insights about equipment, layout, and implementation, this useful guide is a valuable resource for achieving the perfect commercial kitchen design. 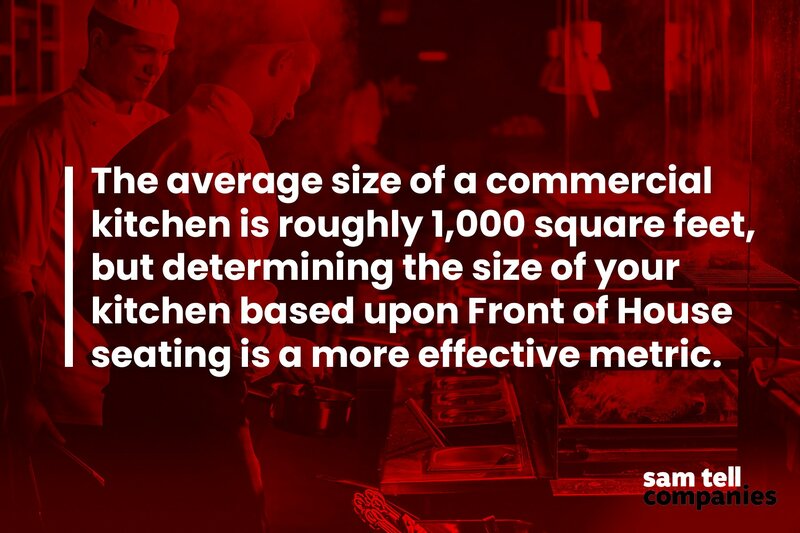 What Is the Average Size of a Commercial Kitchen?